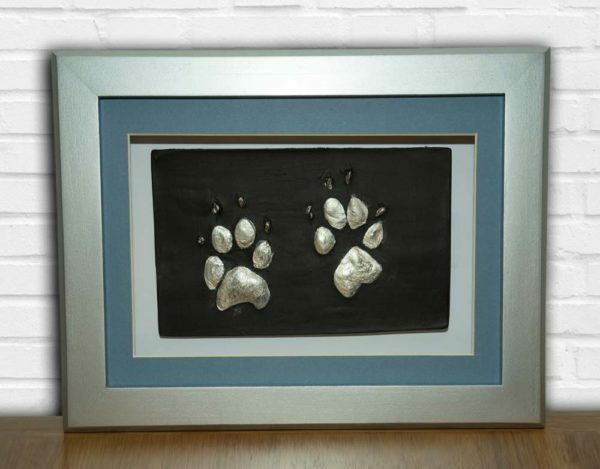 Paws are presented in a handmade frame, they will look superb. 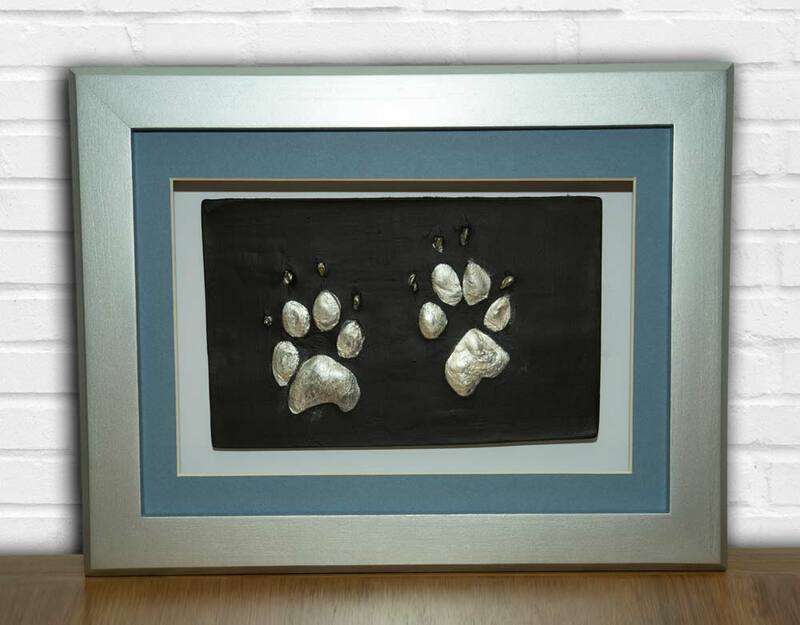 Again, you can pop your paws on the wall or mantel piece, your amazing keepsake will look lovely in home or office. *Please note if the two paw prints are large the frame size may change. 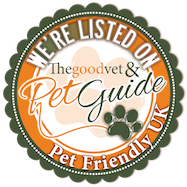 If you are having a paw print of a dog please specify the breed for us so we can send out the correct sized mould. 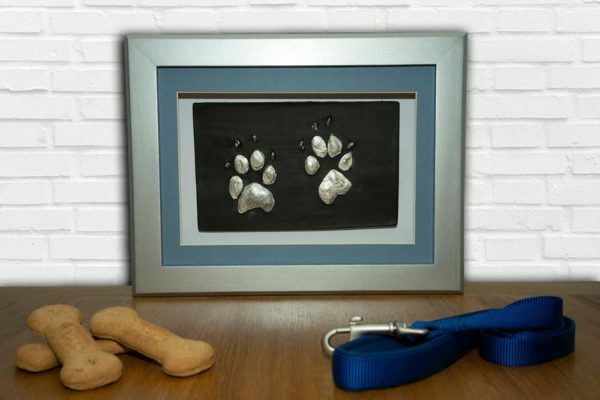 The size of the frame is 13.5″ x 10.5″, whilst this piece shows two paws we do offer the option of a single paw print. We will send you a paw print mould so you can easily take the impressions yourself at home. Once they have dried send them back to us and your paws will be created with much care and passion. Once we have the paw print impression, the paws are then cast, once dry, they are hand sanded, primed and painted. "You really looked after us, especially my mum. You made such a sad thing so much easier for her, I really thank you for that."